﻿Wright Morris was born January 6, 1910 and passed away April 25, 1998. The Great Plains remains a subject that Mr. Morris is best known for depicting photographically. 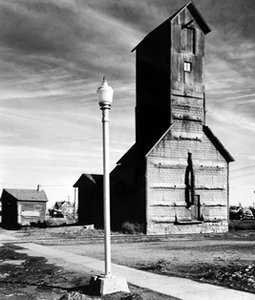 I included the picture of "Light Pole and Grain Elevator" to give an example of this work. He also had a way of arranging still lifes for pictures that remain quite interesting, like in "Dresser Drawer, Ed's Place". The inner contents of someone's drawers can tell a lot about their life, just as I believe this picture is telling us a story of someone else's life. 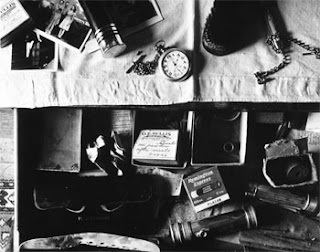 I am more drawn to these still life/documentary type of photos more than his Great Plains photographs.